I feel like people are so into Mac lip liners now. The colour Soar is super popular at the moment. Everyone seems to love it. But I don't find it flattering on me, I find it too bold on my fair skin. So the other day in Mac I decided to pick up the shade Dervish instead. This is a natural mauvey/pink colour with a hint of shimmer, but the shimmer doesn't transfer much. It's the lighter version of Soar and the perfect natural lip colour. I've been wearing it alone all over my lips, and also underneath other lipsticks. Although the pencil is pigmented it can be quite drying and hard to apply. So make sure you add some lip balm to the lips. I'm obsessed with it! It's a gorgeous colour perfect for fair complexions. 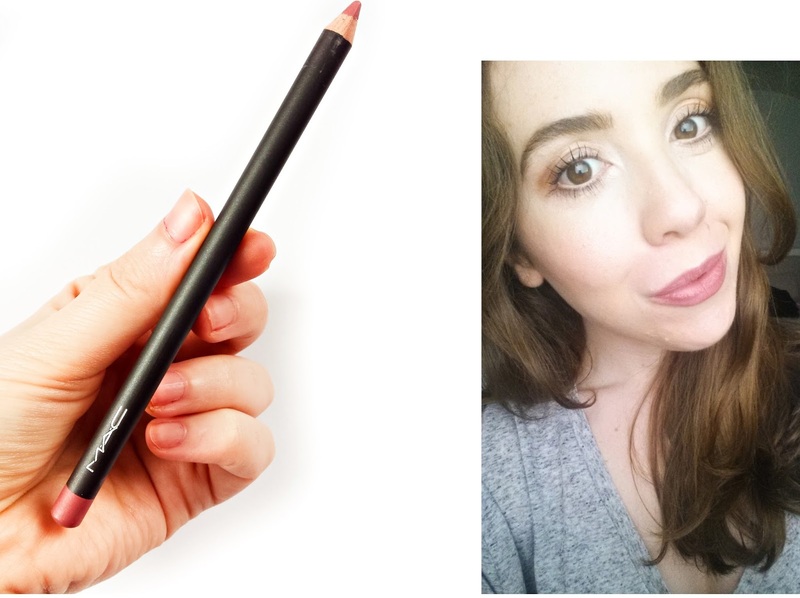 If you are looking for a neutral mauvey pink lip liner I would definitely recommend this. It's a great alternative for those who think the shade Soar is too dark. Make sure to check this out!